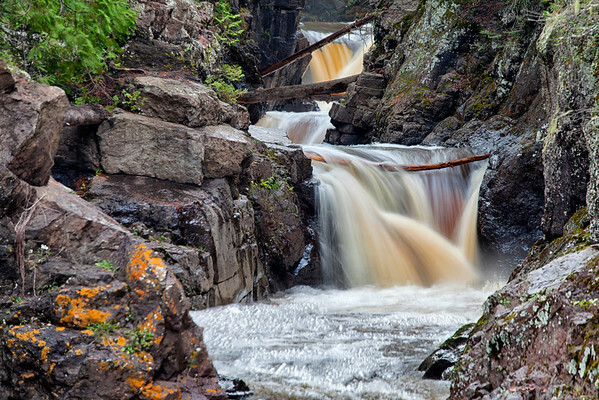 This is one of my favorite places along the Cascade River. The river literally cascades through the canyon. I love the foam created by this fast moving water. Shooting at one-half second to get the silky waterfall ruins the bubbles in the pool so I made a composite, using an image shot with a fast shutter speed so I could include the bubbling pool.